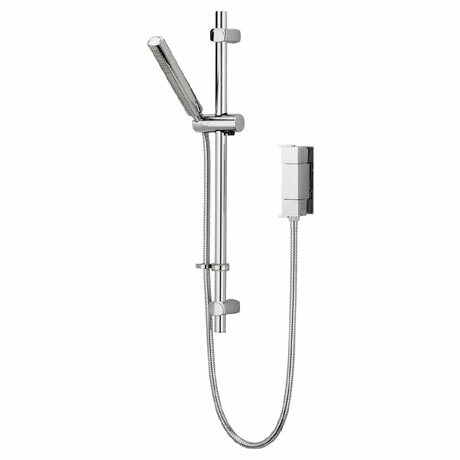 The Qube shower valve has a wonderful modern design. Brass construction provides superior durability and conforms to BS EN 248 standards. This amazing valve trim includes lots of features and is suitable for all plumbing systems, an amazing addition to any bathroom. Thermostatic cartridge maintains showering temperature to +/- 1oC by compensating for changes in the incoming water temperature and pressure providing a stable outlet temperature. Automatic shut off in the event of hot or cold water supply failure, thus reducing the risk of injury. Factory set to a maximum of 38oC to eliminate the ability to select an unsafe temperature - this can be manually over-ridden up to 46oC to suit user preference.